Our goal is to treat a wide variety of acute and chronic pain conditions. We tailor our treatment plans to fit your individual needs. We treat your painful symptoms to help you regain your normal life. Our goal is to treat a wide variety of acute and chronic pain conditions and tailor our treatment plans to fit your individual needs. We treat your painful symptoms to help you regain your normal life. Learn about common pain conditions and procedures in our interactive patient education library. View narrated patient education videos and print out informational brochures. Looking for a pain management physician in Naperville, Illinois? Narayan S. Tata, MD is the founder of Midwest Sports and Pain Specialists, PC. He is compassionate and dedicated to the treatment of pain. He utilizes a multidisciplinary approach and the latest interventional spine techniques in helping patients win their fight against pain. The Joint Commission has been acknowledged as the leader in developing the highest standards for quality and safety in the delivery of health care, and evaluating organization performance based on these standards. Today, more than 19,000 health care organizations use Joint Commission standards to guide how they administer care and continuously improve performance. 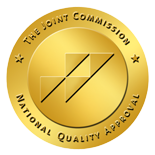 The Joint Commission is also the only accrediting organization with the capability and experience to evaluate health care organizations across the continuum of care.